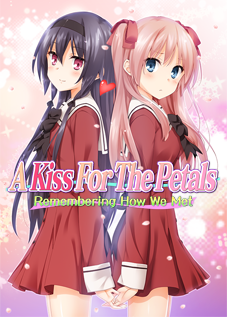 As a result of Music Box of Memories being prematurely ended, Eden of Xeno has graciously given me permission to release their translations of A Kiss For The Petals light novels freely. 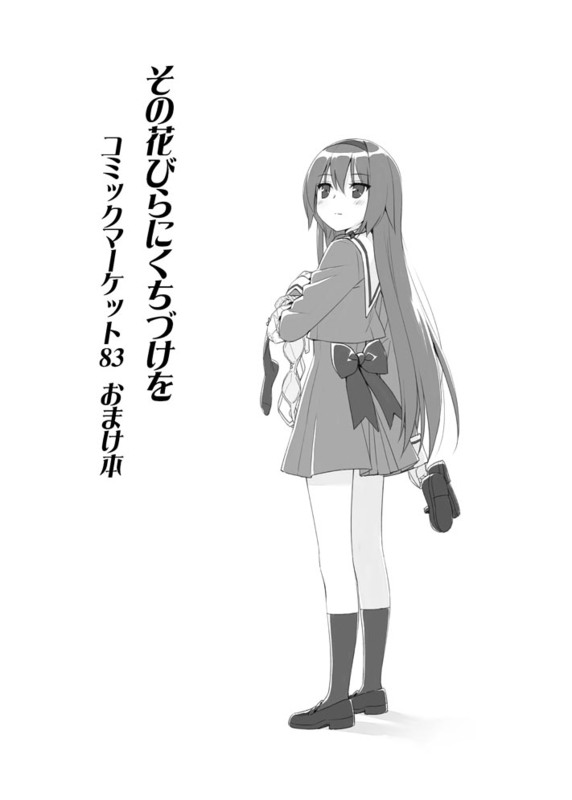 Four light novels and eight Comiket bonus short stories were translated as supplementary material for Music Box of Memories for the benefit of readers who do not have access to them, as Music Box of Memories makes frequent references to events only seen in them. They have all been translated by Ralen. He has expressed interest in continuing to translate the remaining light novels. Later translations will be added to this page. The translations are available in rich-text format (RTF) and PDF. 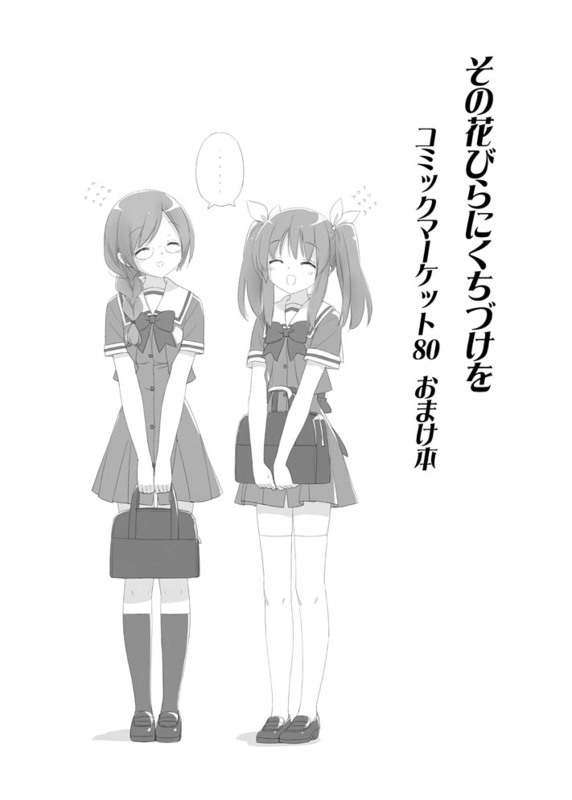 Placeholders for the images in the original light novels have been inserted with references to page numbers from the original light novels. For example, a note reading “[Image on page 12. ]” refers to the illustration on page 12 of the original book. I’ve inserted them into the points in the text that best match the images. The covers are also included as they are freely available on Fuguriya’s website. Taking advantage of her parents’ absence, Nanami invites Yuuna to her house for a sleepover party. 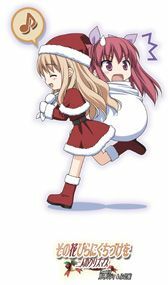 Although Yuuna has to attend her father’s party on the very same day, she promises to slip out halfway through, much to Nanami’s delight. Each day after that, Nanami spends all her time preparing for Christmas and practicing her cooking. Her heart aflutter, the thought of a night alone with her beloved Onee-sama fills her to the brim with joy! However, Sara suddenly gets an overseas job dropped in her lap, plunging the two of them into a dark depression. “No, I have to be supportive of my lover, now more than ever!” Kaede-chan is determined to see Sara off with a smile. But before she knows it, Kaede is standing on a tropical coastline with Sara. Notice: The writer roundtable at the end of the book contains coarse language. Reo, filled with joy at becoming Mai’s girlfriend… Is in a particularly sour mood today. Mai, ever the sisterly Samaritan, is even more popular at St. Michael’s than ever! She seems to be paying just as much attention to Reo as she always does, but she’s totally ignoring her feelings! “After all this time giving in to her whims, I’m finally going to seize control back from Mai!” Reo cries. As luck would have it, it just happens to be summer vacation, and Reo smirks at the thought that Mai’s obnoxious little fans won’t be able to get at her… But come summer break, Mai gets stuck watching her little siblings, and Reo’s hopes are dashed as her plans fly out the window. But after Mai cancels her trip to visit her family in the country, could this sudden opportunity be their chance to be alone together?! And then it’s smooth sailing as they’re off to Reo’s family vacation home in Karuizawa…?! Notice: The roundtable at the end makes multiple references to “Sweet Enchanting Kisses”. 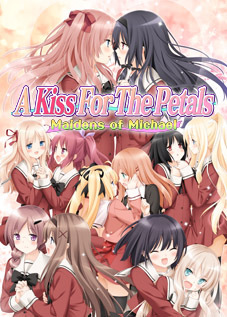 This is the short story series published online between September 2007 and October 2009, not the visual novel later released with the same name. With Valentine’s Day a mere month away, Nanami is in a bind. This will be her first Valentine’s with Onee-sama. What kind of chocolate should she give her? Perhaps she could pour her passion into baking her a homemade chocolate cake? But what if she doesn’t like it? Maybe an expensive store-bought chocolate would be the safer route. But then what about the cost…? There are just so many details to agonize over, but at the same time that’s half the fun. 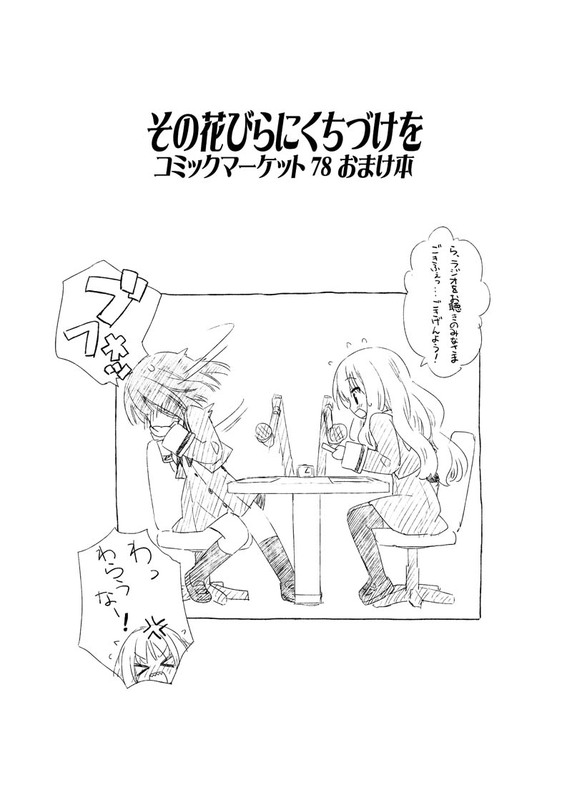 And then, with one week to go, as soon as they’re alone together, Yuuna nervously approaches Nanami. A Kiss For The Petals – Enchanting Kisses on a Tropical Island! One day in December, in anticipation of Christmas, Takako was making plans for spending Christmas Eve with Runa. A modest yet enjoyable Christmas Eve; Takako had a wonderful time. The next thing she knows, she’s being handed her passport and a ticket at the airport and getting on board an airplane?! Stretched out as far as the eye can see is the cobalt-blue sea. Underfoot is an incredible white sand beach. And overhead, the sun is beating down. That’s right, it’s a deserted tropical island! A Kiss For The Petals – Seize the Summer! As the two of them head into summer vacation, Mai extends an invitation to Reo to go on a trip together. Reo is ecstatic, but Mai won’t tell her where they’re going until the day of the trip. Just before they arrive by train, she learns that it’s a place surrounded by the natural beauty of the mountains and sea. It’s a supplemental story to The Petals series that seizes hold of Mai and Reo’s summer. Don’t miss it! 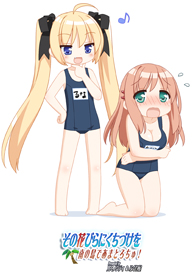 Click on the thumbnails of the Comiket covers for the full versions. A Rowdy Open Air Bath! This is the first instance where all the main characters (at the time, Nanami, Yuuna, Kaede, Sara, Mai, and Reo) were gathered in the same place and interacted with each other. Similar to the previous story, this gathers all six Petals characters at the time into a single place. This is a supplemental story to Enchanting Kisses on a Tropical Island!, which was also released at Comiket 77. It can be seen as a transition between the prologue and chapter one. All eight characters at the time of its release are present. This is based on the bonus track from Always Together In Summer (ずっといっしょの夏 Zutto Issho no Natsu), the first drama CD featuring Mai and Reo. With some surprise guests and subject matter familiar to fans of all involved, this concept was adapted into Reo-ppoi Radio in January 2011. The thumbnail to the left links to a translation of the cover; click here to see the original. As a point of interest, this is the first bonus story that does not feature Mai or Reo. What if a Yuri Couple from St. Michael’s Bumped into a Senior Couple at an Open Air Bath? This story takes place during the light novel Bathed in Warmth (ぬくもりに包まれてNukumori ni Kurumarete) as Mai and Reo encounter Shizuku and Eris during their bath in a public bath house. 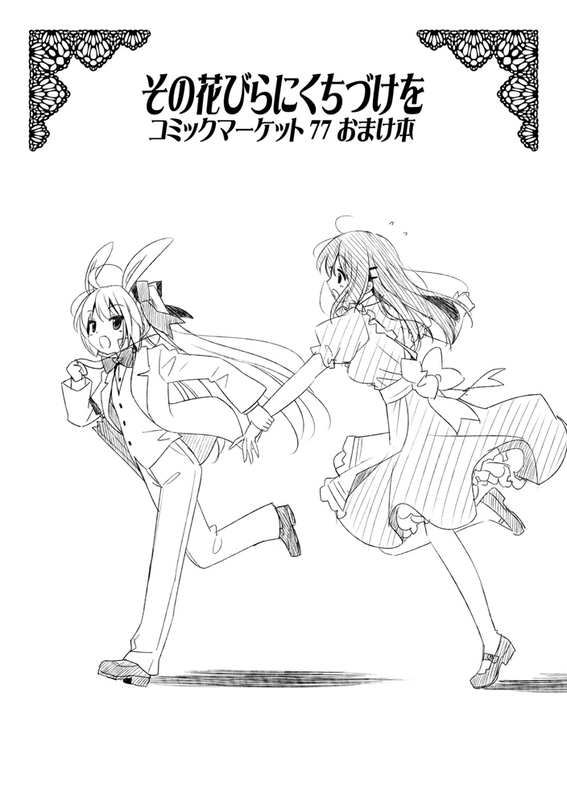 Note that Mai and Reo do not appear in the light novel proper. 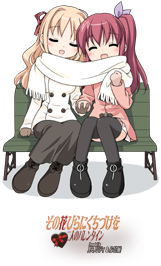 Although this story features Risa and Miya, characters from Yurin Yurin and not Fuguriya, the format remains unchanged. Similar to the internet videos, it is told entirely through dialogue. 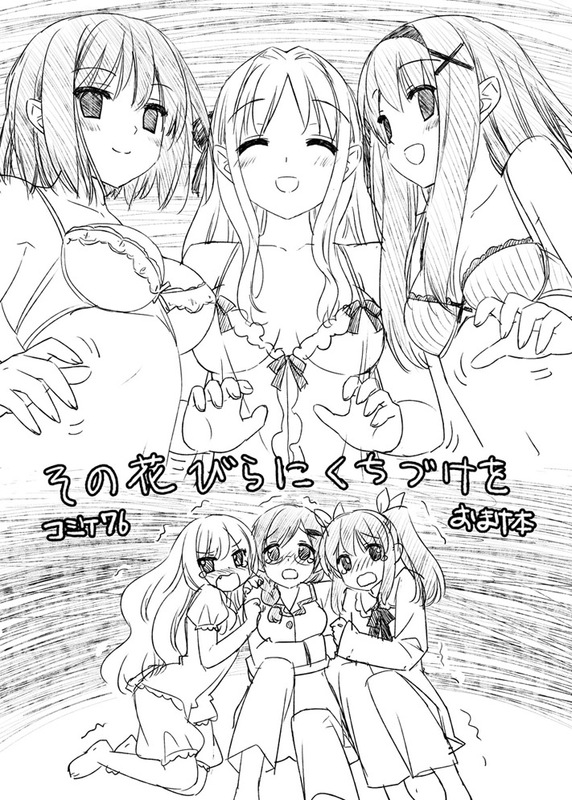 This story is third to feature Mai, Reo, Shizuku, and Eris, and calls back themes from Maidens of Michael and the Comiket 81 Bonus Volume. 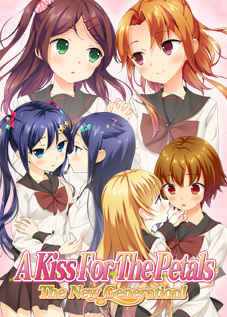 This is Rikka and Sayuki’s first appearance in the bonus stories and takes place alongside the drama CD Kitten Love (仔猫な恋人 Koneko na Koibito). The unusual word “jerashikku” in the Japanese title led Ralen to take a liberty in the translation, as it’s unclear whether it’s simply a play on the word “jealous” or a deliberate misspelling of “Jurassic”. 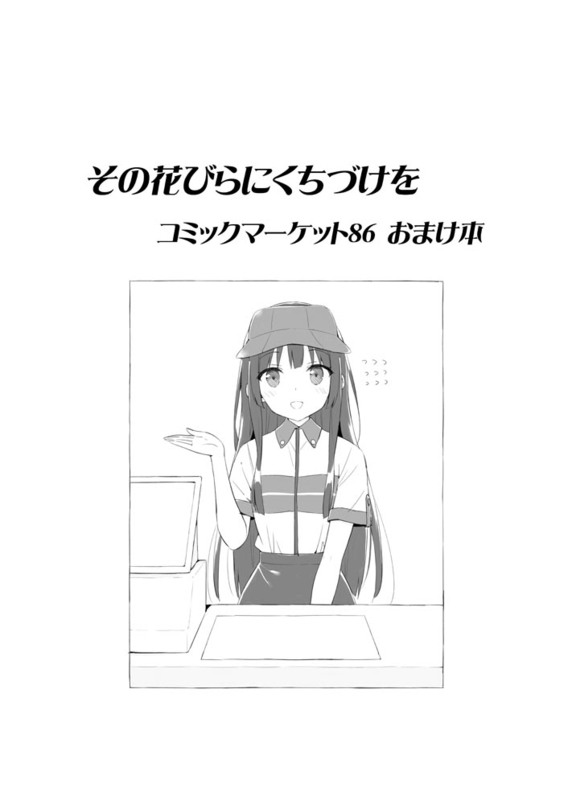 Shizuku takes up part-time employment at a fast food restaurant. Eris joins her in a bid to be close to her, but struggles to keep pace with her. This is the first story to feature Shizuku and Eris exclusively and a named extra character. Sweetness! More Hanabira stuff being made available is always a good thing. A setting in your browser may be disrupting the anti-hotlink protection in the links. Try to download with a different browser. 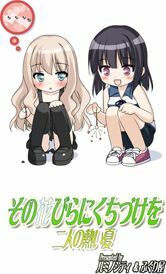 The translations of Comikets 77, 78, and 82 bonus volumes have been updated with grammatical fixes. Original content from the books cannot be included in the translations for copyright reasons. You will need to provide them yourself. 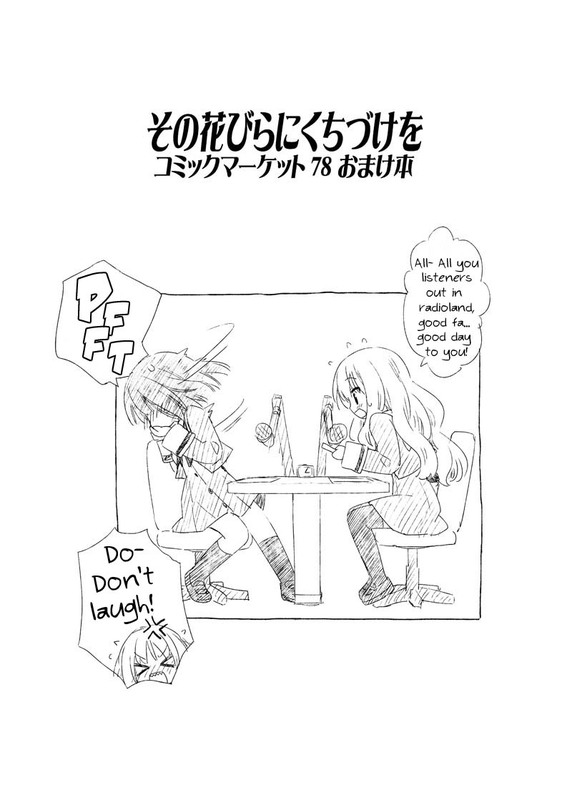 While there is no visually graphic content, all of the standard light novels contain mature content. The Comiket bonus volumes do not. When I click on the download link, ‘I’m sorry, were you looking for something?’ came up. It came up every links, so can you help me please? Your browser is triggering the hotlink protection. Your browser configuration, add-ons, or antivirus software may be causing this. Try using a different browser or disabling any add-ons and antivirus programs that could be filtering links. is the link for A Kiss For The Petals – Our Valentine’s Together working? I have corrected the links for the individual download. weird, pdf link gives me error message, “I’m sorry, were you looking for something?”. RTF link works fine. Clear your browser’s cache and try again. I tried that. also tried diff browsers. I’ve cleared the server-side cache for this page. Try downloading the PDF again. mmm. not working. I tested other links PDF and they work. not sure why this one isnt working. The original filename contained an apostrophe ‘ that caused the URL to terminate early. I’ve renamed the files and updated and tested both links, so I’m not sure why you still have this issue. You can get the light novel from the archive downloads if you aren’t able to resolve it. where is the link to the archive? 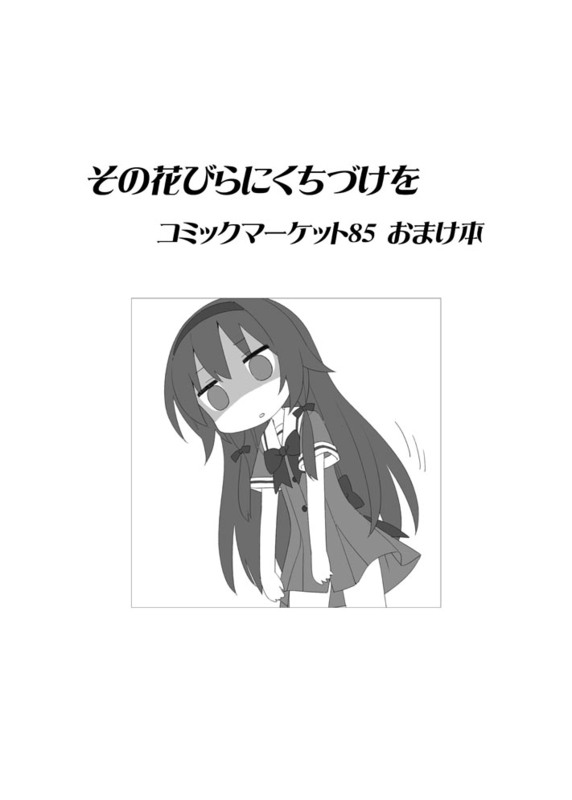 The links at the top of the page labeled “All Light Novels” contain every light novel below in a single format. I also tested by using my smartphone and is the same problem. Most of the links are down. They download correctly on my computer. What error message are your receiving? IM getting the message sorry were you looking for something? Your browser is triggering the anti-hotlink protection. It may be configured in such a way that the referrer is stripped. Try using a different browser to download. thanks for link… that’s work on me. is there a place to see the pictures from the light novels? For the illustrations, you will need to obtain the light novels elsewhere. See the Buying Guide, but be advised that many of them are out of print and may no longer be available from retail stores. The light novels are listed in order of original publication date, not translation date. You can read the novels featuring characters whose stories you are following independently of the others and without necessarily following the events of the visual novels they roughly correspond with. Hi! Thanks for the tranlation!